Circle with Disney - Parental Controls and Filters for your Family’s Connected Devices | Replicafer Co.
Circle allows your family to manage all of your home's connected devices. With Circle, parents can now filter online content and limit online screen time as well as set an Internet bedtime for every connected device in the home. Circle can even Pause the Internet and share what kids are up to online. How it Works: Circle pairs wirelessly or via ethernet to your home router and allows you to manage online access for every device on the network: smartphones, gaming consoles, tablets, smart TVs, online gaming consoles, laptops and desktops. Using an iOS or Android app, families create unique profiles for every member of the home and from there, help shape each person's online experience. If you want to extend Circle’s settings to your family’s mobile devices on 4G LTE and other Wi-Fi Networks, you can add our Circle Go service (optional subscription). 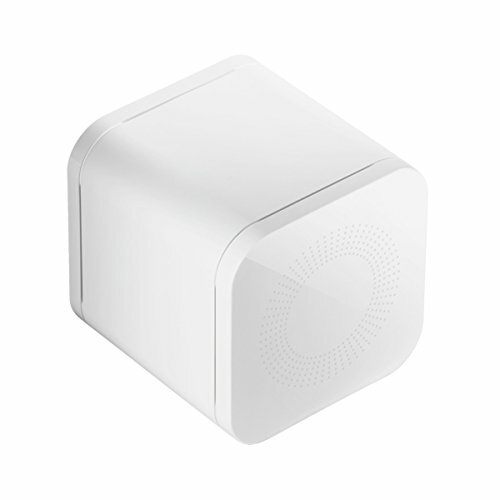 MANAGE EVERY CONNECTED DEVICE: Circle recognizes and manages wired and wireless devices on your home network. REQUIREMENTS: Setup and manage Circle using a device with iOS 9+ or Android 4.2+. Home Internet connection and a compatible router also required, check your router's compatibility on our Support Site. SET ONLINE TIME LIMITS: Create daily time limits on apps and popular sites like Facebook, Instagram, Snapchat, and YouTube. FILTER ONLINE CONTENT: Set individual filter levels by age (Pre-K, Kid, Teen, and Adult) for each member of your family. Create custom filters for websites too! PAUSE THE INTERNET: Pause the internet for a single Family member or the whole Family with a single tap. ONLINE USAGE AT A GLANCE: See where your kids spend time online by app and category. If you have any questions about this product by Circle, contact us by completing and submitting the form below. If you are looking for a specif part number, please include it with your message.